Jos. A. 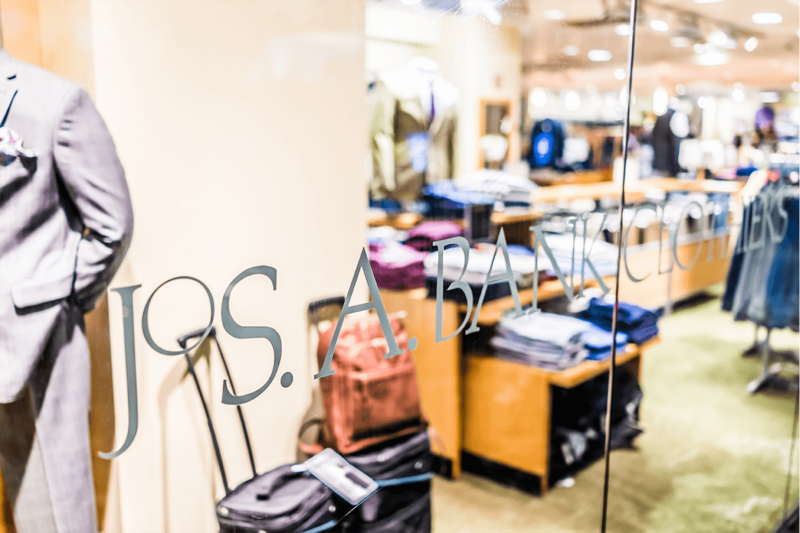 Bank is not just another menswear retailer. What makes them unique is also what has attracted customers to their stores since 1905: a heritage of quality workmanship, an extensive selection of beautifully made, classically styled tailored and casual clothing and prices typically 20 to 30 percent below their competitors’. From men’s suits and dress shirts to sport coats, custom suits, tuxedo rentals and more, they offer distinctive looks and classic styles for the modern man—including Big & Tall sizes. Add that to an expert staff of sales professionals who prize service and customer satisfaction above all. Headquartered in Fremont, California, and an integral part of parent organization Tailored Brands, Inc., Jos. A. Bank operates 500+ stores nationwide, as well as offering online sales and service.